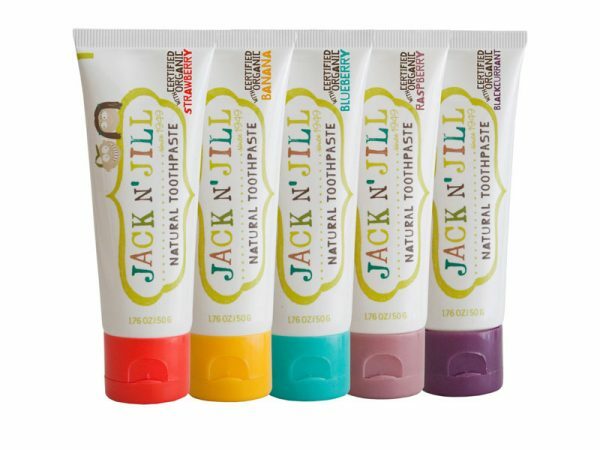 Let the kids know Santa encourages dental hygiene with a tube of Jack n’ Jill Natural Toothpaste. Choose from four fruity flavours or go flavour free. You can purchase them from Nature’s Child for $4.95. Turn the playroom into superhero HQ! 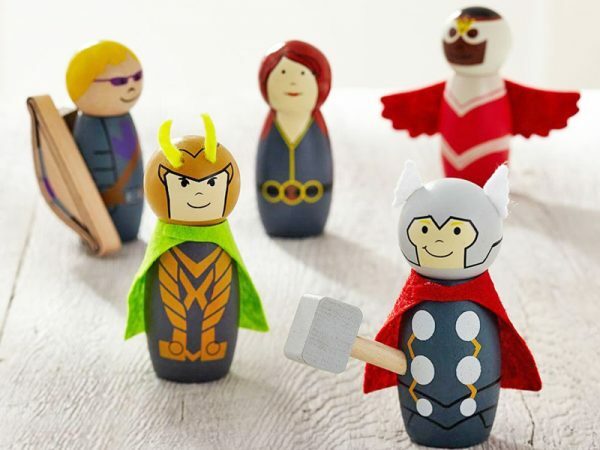 From Thor to Hawkeye and Falcon, you can find the whole gang in the Marvel Super Hero Figurines Set, $34 from Pottery Barn Kids. This tasty chocolate-look teething toy is a sweet treat for baby’s first Christmas! 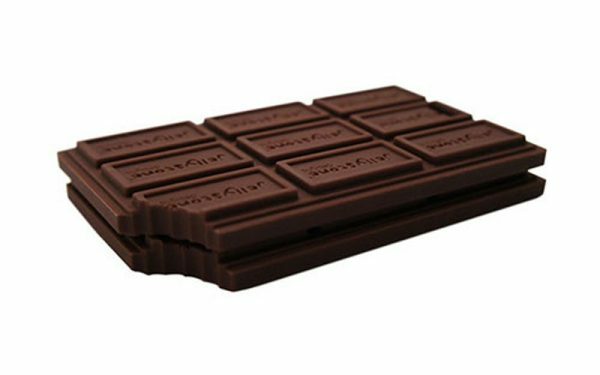 It’s the JChews Chocolate Bar teething toy – a guilt-free treat your precious bub will love to sink their teeth into! Find it (and plenty of similar designs) at Jellystone Designs, priced $9.95. 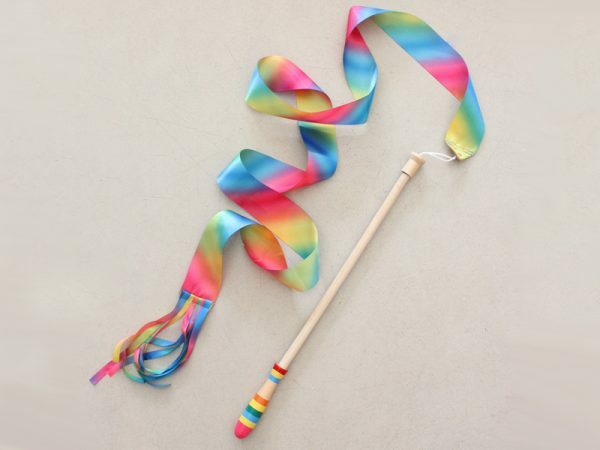 Perfect for tiny dancers, the brilliantly coloured Rainbow Dance Ribbon is sure to encourage many prancing and dancing routines in the yard from sun up to sun down! Find it at Shorties, priced $10. 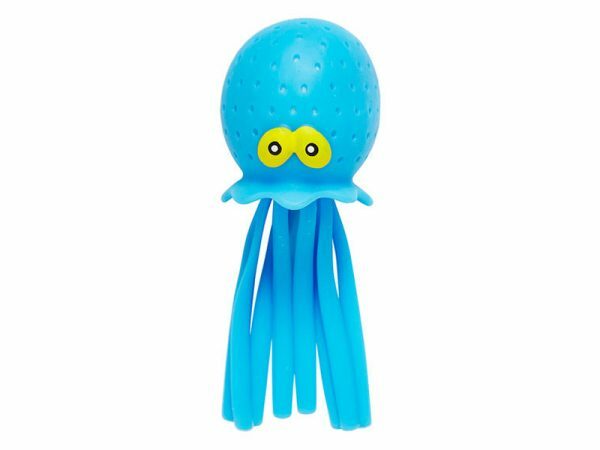 Gangly stretchy legs aplenty, Splash Octopus loves to have a swim in the bath. Find him waiting at Seed, priced $7.95. Add some pizzazz to an outfit with a set of four Summer Fun Badges by Kitiya Palaskas. Celebrating all things summer from ice blocks to hot dogs, these metal badges are a super cute accessory indeed. $5.95 a set from Lark. Just because it’s summer, it doesn’t mean it won’t be wet! 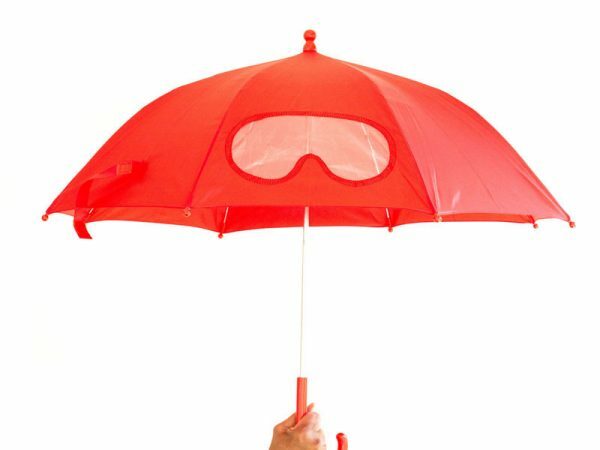 For those living in the rainy, tropical places of our beautiful country, kit the kids out with a fun Superhero Mask Umbrella, $22, from Little Me Little You. Sprinkle the walls with … well, sprinkles. 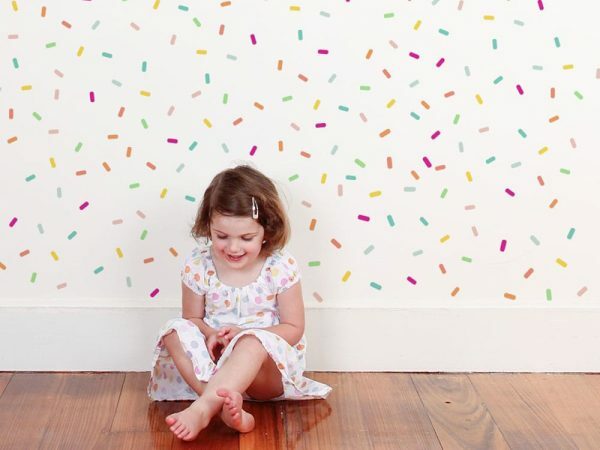 Let the kids give their bedroom wall the cutest of makeovers with Sprinkles Wall Stickers. A packet containing 224 sprinkles will set you back just $20, from Tiny Me. Have your fruit and wear it too! 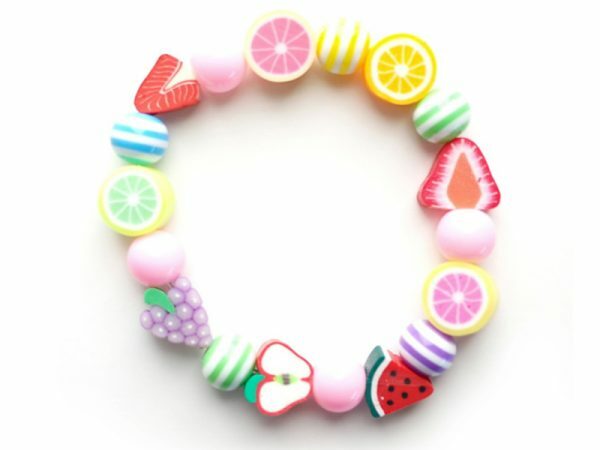 A Lauren Hinkley Australia Fruit Salad Bracelet, $14.95, is a fabulous elasticised accessory for any little lady this summer. Available from Hard To Find. 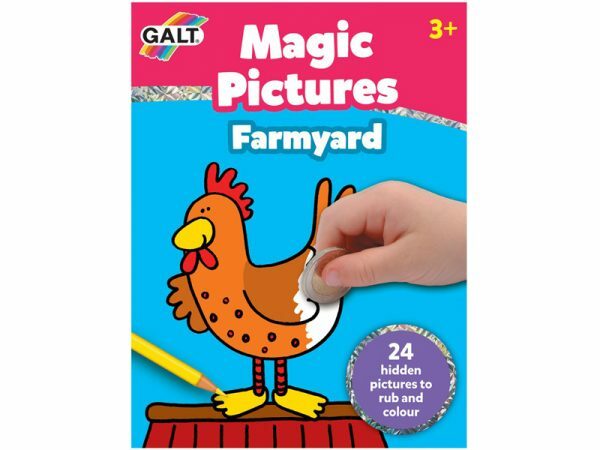 Add some magic to Christmas stockings with a fun Galt Magic Pictures Farmyard Book. All will be revealed with a quick rub of a coin, then colour all 24 pictures in! Priced $4.95 from Discount Toy Co.